Are you looking to “go green” with your next vehicle purchase? Sadly, the tax benefits for buying hybrid cars are no longer available. But that doesn’t mean you still can’t drive a hard “tax bargain” if you’re energy-conscious. Strategy: Consider a plug-in electric vehicle. If the vehicle qualifies under the latest tax laws, you can claim a credit of up to $7,500. The credit is a dollar-for-dollar reduction of your tax bill. Although the tax credit for plug-in vehicles expired after 2011, the American Taxpayer Relief Act (ATRA) reinstated it, retroactive to the 2012 tax year, and extended it through 2013. Here’s the whole story: The credit is equal to $2,500, plus $417 for a vehicle which draws propulsion energy from a battery with at least 5 kilowatt hours of capacity, plus an additional $417 for each kilowatt hour of battery capacity in excess of 5 kilowatt hours. The total amount of the credit allowed for a vehicle is limited to $7,500. 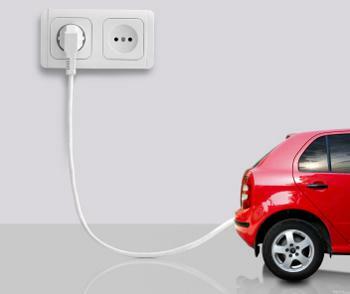 The plug-in vehicle must be acquired for use or lease and not for resale. Also, original use of the vehicle must begin with the taxpayer claiming the credit, and the vehicle has to be used predominantly in the United States. For purposes of this credit, a vehicle is not considered to be acquired prior to the time that it passes to the taxpayer under state law. Caution: The credit begins to phase out for a manufacturer’s vehicles when at least 200,000 qualifying vehicles have been sold for use in the United States (determined on a cumulative basis for sales after Dec. 31, 2009). Qualifying vehicles manufactured by that manufacturer are eligible for 50% of the allowable credit if acquired in the first two quarters of the phaseout period and 25% of the credit if acquired in the third or fourth quarter of the phaseout period. Vehicles manufactured by that manufacturer aren’t eligible for any credit if they are acquired after the phaseout period. So far, the phaseout rule is not even remotely an issue. Tip: Find the latest available IRS figures on phaseouts of different models on the IRS website.